June 8 (UPI) — Researchers at the University of California Los Angeles have created a molecular compound that improves balance and coordination in mice with Parkinson’s disease. The drug, CLR01, reduced the level of toxic protein in the brain that is believed to be responsible for the development of Parkinson’s disease. Parkinson’s disease is a progressive nervous system disorder affecting 1 million Americans, with roughly 60,000 new diagnoses each year. There is currently no cure. 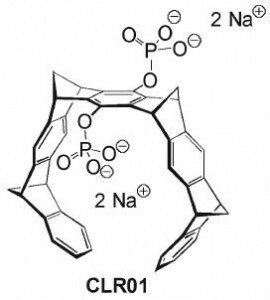 CLR01, known as a molecular tweezer, is a complex compound capable of disrupting the formation of toxic clumps of alpha-synuclein proteins that kill brain neurons that produce dopamine, the neurotransmitter needed to send signals to neurons to control movement. CLR01 wraps around chains of the basic amino acid lysine and can decrease the clumping of alpha-synuclein proteins. The compound prevents the proteins’ negative effects without detectable toxicity or side effects harming normal cells in the brain. Researchers found there are two toxic types of alpha-synuclein: one that clumps together forming aggregates and a second soluble form that is more toxic and harder to detect. The latter is thought to be the driving force affecting neurons. The research team used a treatment of CLR01 that did not affect the aggregated form of alpha-synuclein, but did reduce the soluble form enough to improve movement in mice with early-stage Parkinson’s disease. The study was published June 5 in the journal Neurotherapeutics.